Qolsys has truly outdone themselves with the all-new IQ Panel 2 Plus System. This version offers support for DSC 915 MHz PowerG Sensors and legacy DSC 433 MHz sensors. It also includes a built-in AT&T LTE Radio for reliable and fast connectivity with Alarm.com. Buy the IQ Panel 2 Plus here. The Qolsys IQ Panel 2 Plus is certainly one of the finest systems available today. This is a wireless all-in-one (AIO) panel that offers support for 915 MHz PowerG Sensors and legacy DSC 433 MHz Sensors. Virtually any home or business can benefit from adding this robust and capable system. The support for PowerG Sensors is one of the best features of the IQ Panel 2 Plus. These sensors can be used from up to 2,000 feet away from the the system in an open air environment. This is one of the best wireless ranges in the entire industry. Another great feature of these sensors is their 128-bit AES encryption protection. This makes these sensors virtually impossible for others to wirelessly hack or takeover. As a result, the PowerG Sensors are some of the most powerful and most secure sensors on the market today. This IQ Panel 2 Plus version also comes with an integrated 433 MHz daughtercard for use with legacy DSC Sensors. This can be particularly important for users looking to bring existing sensors over to their new security system. Please note that there are also alternative versions of the Qolsys IQ Panel 2 Plus that support 345 MHz Sensors (Honeywell 5800 Series and 2GIG) or 319.5 MHz Sensors (legacy Qolsys and Interlogix/GE). All versions of the IQ Panel 2 Plus support the 915 MHz PowerG Sensors. Additionally, each IQ Panel 2 Plus provides support for up to 128 wireless zones, regardless of the sensor frequency that is being used. All IQ Panel 2 Plus Systems come with a built-in cellular communicator. This version includes the AT&T LTE version for connecting with the LTE network hosted by AT&T. With this communicator, the system will enjoy fast and reliable connectivity with the Alarm.com interactive platform. Users can connect with Alarm.com to arm and disarm their system, operate Z-Wave smart home devices, check the current status of their system and more. 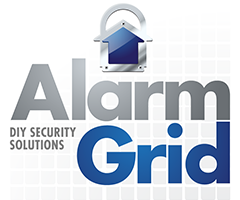 Alarm.com can be easily accessed at any time through a web browser or remotely through the Alarm.com Mobile App on Android or iOS devices. In addition to the cellular communicator, the IQ Panel 2 Plus also includes a built-in WIFI card to give the system a dependable dual-path communication setup. In the event that one path is ever unavailable, the system will still be able to use the other path. Please note that Qolsys also offers a Verizon LTE Version of this system for users who live in an area where Verizon service works better than AT&T. Regardless of which version is used, the user will need an alarm monitoring plan that includes cellular service to connect with Alarm.com. The Qolsys IQ Panel 2 Plus also serves as a fully functional Z-Wave Plus controller for supporting both Z-Wave Plus and Z-Wave classic devices. These devices can be controlled both from the panel and from the Alarm.com service. Any Z-Wave device can have its communication signal "hop" through other Z-Wave devices in order to increase its range and establish a strong "mesh" network. Up to four hops can be performed as the signal travels to its ultimate destination. The IQ Panel 2 Plus System will support up to 232 different Z-Wave devices. 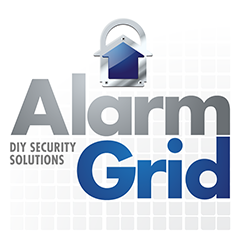 Another major improvement that comes with the Qolsys IQ Panel 2 Plus is the ability to use the system with Alarm.com Security Cameras. A user can view any programmed cameras through the Alarm.com service or from the panel itself. For ADC Cameras that support two-way audio, the user can have a live conversation with the person in front of the camera right from the panel. Qolsys also applied this feature to the ADC SkyBell Doorbell Cameras. This allows users to see who is at their door by simply checking their IQ Panel 2 Plus System. This can also be done through Alarm.com. Some of the additional features for the IQ Panel 2 Plus include its easy installation setup wizard, an integrated 5MP camera, a built-in glass break sensor and a responsive 7-inch HD touchscreen display. Qolsys also gave the system a stylish modern design that fits in with almost any decor, and its thin profile makes the system as unobtrusive as possible. We strongly recommend this system for any home or business that needs efficient and reliable monitoring. By choosing the IQ Panel 2 Plus, you are truly getting the very best that the security industry has to offer. Note: The Qolsys IQ Panel 2 Plus has a smaller antenna than the DSC PowerSeries Neo Panels. As a result, it can only support DSC PowerG 915 MHz Sensors from a maximum distance of 2,000 feet away in open air. This is considerably shorter than the maximum open air range of 2 kilometers that can be achieved when these sensors are used with a DSC PowerSeries Neo System. Please keep this in mind when planning a security system. If you need to extend the range, a wireless repeater can be used.